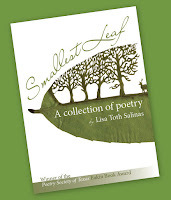 Small-leaved Shamrock: News for Smallest Leaf: a new website and a new book! 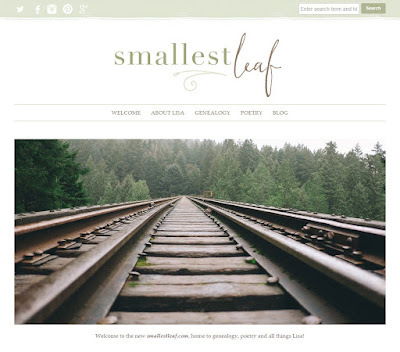 This week I celebrate my eighth anniversary of blogging here at Small-leaved Shamrock, 100 Years in America and A Light that Shines Again. It has been slow-going at times, but I've stuck with it and look forward to many writing years ahead. 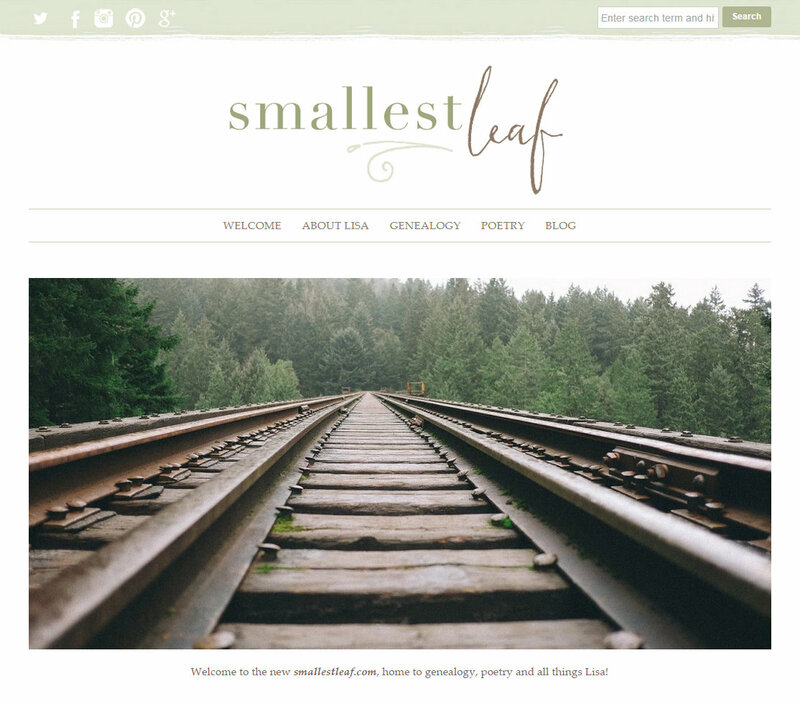 I am thrilled today to announce my brand new website and blog at smallestleaf.com. 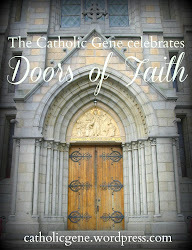 I have decided to pair my interest in genealogy with my other favorite hobby - poetry! - and use my website to share both. Many of you have known me as a genealogy blogger for many years, but you may not have known of my love for poetry. Tales from my family tree are a regular source of subject matter for my poems, along with world history, nature, faith and the writing life. I have just announced the upcoming publication of my first collection of poetry: winner of the Eakin Book Award given by the Poetry Society of Texas. You’ll find the title familiar. I feel a bit like the Irish mother who gives her firstborn a name that has been in the family for generations. My poetry collection is entitled (surprise! ): Smallest Leaf. 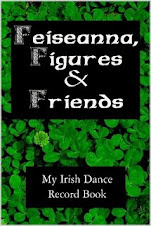 You can read more about my new book on the Poetry page at my website. Thanks to all of you readers who have followed me over the years! I hope you'll stick around for what's to come. Happy reading! Eighth anniversary? Quite impressive. You are an inspiration. Congratulations!